We'll help you save on Green Shield Insurance! Having access to health insurance is important for Canadians. Make sure you have the coverage you and your family need with supplemental health insurance coverage from Green Shield Canada. Get access to coverage that is not offered through your provincial health insurance plan or employer. Compare Green Shield health insurance quotes with ThinkInsure to find coverage to meet your unique needs. Green Shield Canada, now commonly referred to as GSC, has offered extended health and dental benefits to Canadians since 1957. They are Canada’s only national not-for-profit health and dental benefits specialist, offering a variety of health benefits packages for all Canadians. With companies in 6 cities across the country, they provide coverage to meet the needs of residents in all provinces and are always working on new health insurance coverage options to meet your ever-changing health care needs. Health benefits options : Green Shield provides you with supplemental health benefit options, ensuring that all Canadians can get access to the health care benefits they need for their families. Affordable benefits programs : GSC offers benefits plans at a variety of price points and coverage options, ensuring you can find a plan that fits your budget. CHANGE4LIFE health management : Get access to this health management program that focuses on disease management, prevention, advice and access to resources to help you stay healthy. Green Shield offers travel insurance benefits as part of their health insurance packages. The travel insurance coverage is provided through Allianz Global Assistance, providing you with emergency medical travel insurance coverage for out of province and out of country trips. Travel insurance coverage varies based on the health insurance plan you choose. Comparing health insurance quotes? Want to learn more about what Green Shield Canada can offer? 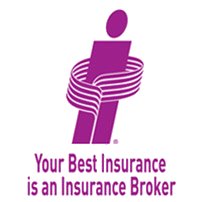 Contact a ThinkInsure broker today. We’re happy to assist you with your health insurance quote. Call us anytime!